This is a drawing from a postcard photo in Pastel. It’s my first time using pastel. Pastel drawing looks wet and oily. 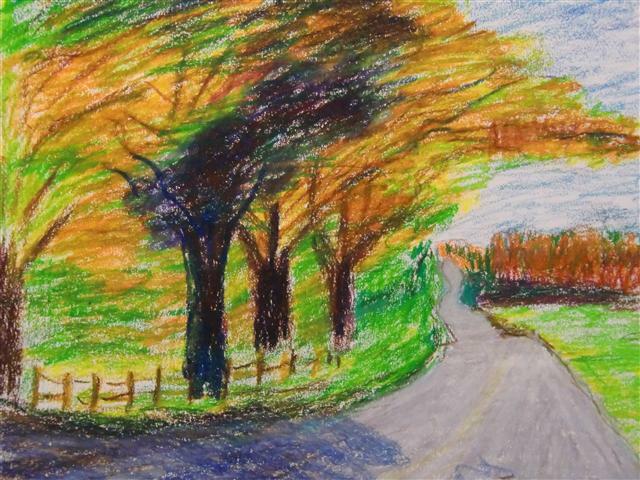 Those maple trees looks windy since my pastel strokes are all in one direction.